Monet’s Water Lilies is a favorite of mine when it comes to Impressionist art. The brush strokes. The textures. The colors. The hallmarks of this artistic style aren’t always easy for young children to recreate. 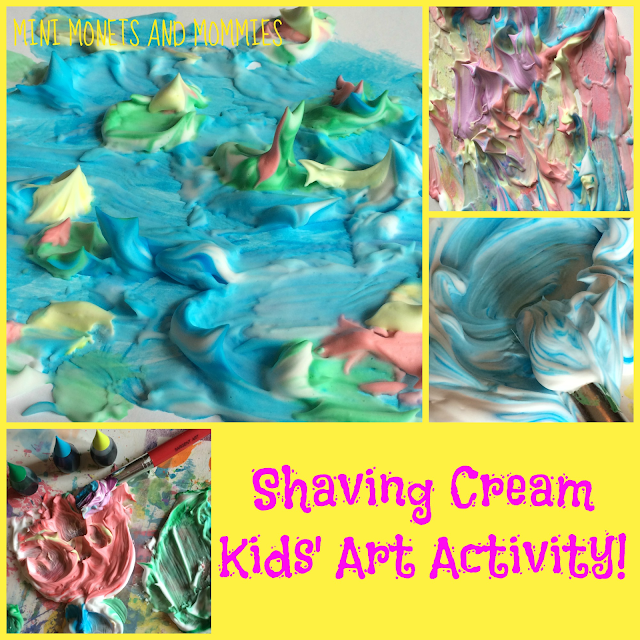 That’s why shaving cream makes an awesomely easy addition to your little painter’s famous artist project arsenal. · How do you think the artist made this? · What colors do you see? · What time of day do you think it is in the picture? · What season do you think it is? Now your mini Monet is ready to get painting. 1. Pick one of Monet’s famous artworks for your child to re-create in her own way. Use the word “re-create” and not “copy”. The goal isn’t for your child to make exactly what she sees. She can’t. It’s just a fact – there’s only one Monet! Don’t let her get caught up in the “I have to make it look just like that picture or I’m wrong” line of thinking. The idea is for her to understand the basics concepts: Visible brush strokes, texture in the paint, natural setting, and colors that reflect the season and time of day. 2. Spray a mound of shaving cream onto the wax paper. You can use a paper plate or tray instead. The wax paper provides a leaf-proof barrier and is easy to use. 3. Drop a few drips of food coloring into the shaving cream. 4. Stir the color in. Your child doesn’t need to mix it 100% in. Leaving some of the white cream visible gives the artwork a more textured look. 5. Dip the brush into the colored cream. Make sure your child gets a glob of it on the brush. As she paints, have her make defined brush strokes. Let her know that she doesn’t have to smooth the paint down, making it a perfect glossy surface. The lumpy, bumpy look will mimic Monet’s work. 6. Repeat the shaving cream color step with other hues. 7. Paint the rest of the artwork. Layer color next to color, building up the painting. Are you looking for more famous artist activities? Follow my Pinterest board for ideas! This looks so fun! Thanks for linking up at the Bloggers Brags Pinterest Party. This is so perfect! 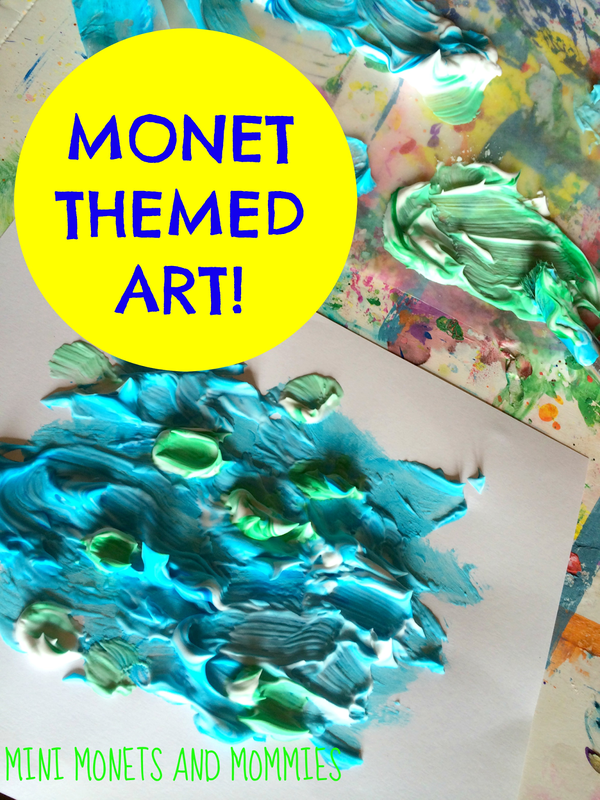 We are actually studying Monet next week! Thanks for linking up at the Beauty Through Imperfection Pin-It Party! 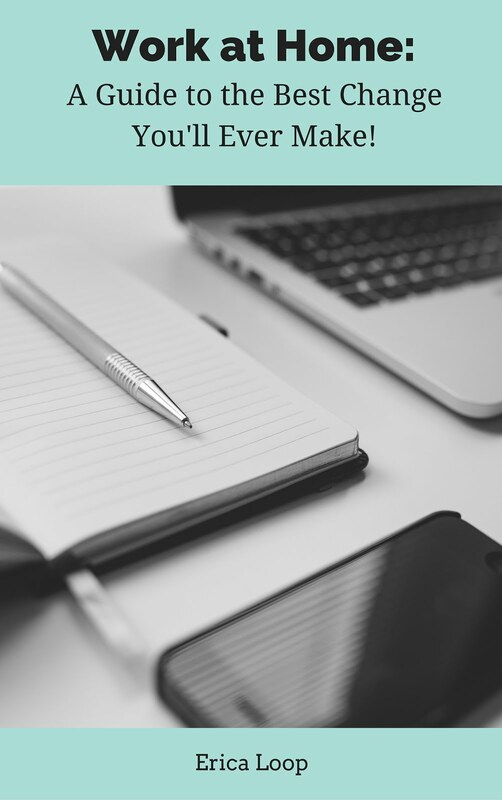 Thanks for linking up last at the Bloggers Brags Pinterest Party, I'm featuring your post as one of my top picks of the week. Great idea. Love shaving cream painting. I have a question though does the foam ever dry out? I love these colors of cream when we can make for all ways. 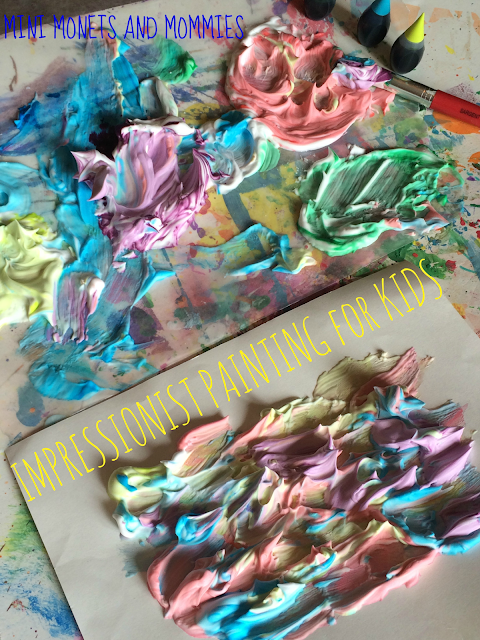 Process Art for Kids: Paint with Gauze! National S'mores Day: Creative Treats for Kids!